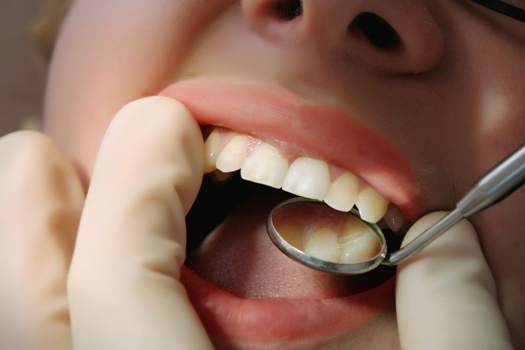 If you suffer from a tooth that is damaged or decayed, Dr. Ogawa has a variety of treatment options to appropriately correct your dental issue. In cases where a filling is insufficient but a crown isn’t completely necessary, porcelain inlays and onlays offer an ideal middle ground to fix your problem and restore your tooth’s natural appearance and functionality. Inlays fill the part on top of the chewing surface of a tooth, between the cusps. Onlays are sometimes referred to as partial crowns because they cap the cusps, or chewing surface, and in some cases, the side of a tooth as well. An attractive appearance: Porcelain restorations can be color-matched to blend seamlessly with your natural teeth. They are much more attractive than metal or amalgam alternatives. Porcelain inlays and onlays are also stain-resistant. Durability: Porcelain inlays and onlays are remarkably durable and designed to be long-lasting restorations. Once bonded, they add significant strength to your decayed tooth, allowing them to feel and function just like your natural teeth. Preserves tooth structure: Inlays and onlays assist in preserving more of your natural tooth structure than other options. Because inlays and onlays don’t require the removal of much tooth enamel for placement, they may also be used as a more conservative alternative to porcelain crowns. Dr. Ogawa is a Las Vegas Institute Fellow, extensively trained and experienced in a variety of cosmetic dentistry and neuromuscular dentistry techniques. With 25 years of experience and proven success, he has established a reputation for the highest caliber of quality and patient care. When choosing a dentist to restore form and function to your smile, it’s important to choose a dentist with skill and experience, but also someone who is compassionate and understanding. Dr. Ogawa cares personally for each of his patients and works to create long-lasting relationships with his valued patients. We invite you to visit our before and after gallery to see Dr. Ogawa’s results for yourself and schedule a personal consultation. To schedule your consultation with Dr. Ogawa, call Contemporary Dental Health today at 503-636-4069. We help patients from Lake Oswego, West Linn, and Portland, Oregon.